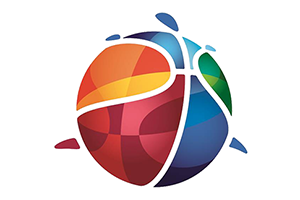 The FIBA 2014 World Cup is finally upon us but if you are willing to look forward, you will see that the 24 teams for the 2015 EuroBasket are now in place. This is due to the fact that the 2nd Qualifying round was concluded on Wednesday with 13 teams securing their place in next summer’s big event. Before this round concluded, there had been 11 teams guaranteed of their place in the 2015 EuroBasket event. 10 places are automatically awarded to the European teams that qualify for the FIBA World Cup, so the sides who are in Spain know that they have plans for next summer as well. This means that Spain, Croatia, Ukraine, Finland, Turkey, France, Slovenia, Greece, Serbia and Lithuania have plans for the next summer. These ten nations are joined by Estonia, who were the winners of the initial qualifying round which took place in the summer of 2013. This meant that there were 13 places up for grabs. Latvia, Israel, Belgium and Bosnia and Herzegovina were already qualified before the final day, with all of these progressing as group winners. The final round of fixtures in the qualifying round saw Poland, Italy and Georgia top their groups, which meant that these teams all qualified directly. The remaining 6 spots were taken by the 6 best runner-ups. This means that Russia, Netherlands, Iceland, Germany, F.Y.R. of Macedonia and the Czech Republic have booked their spot. Iceland are celebrating qualifying for the first time while Romania, the runners-up in Group F, were the unfortunate side to just miss out on entry to the big basketball event of summer 2015. At this moment in time, it is still unknown where the 2015 EuroBasket will take place. This is because the event was scheduled to take place in Ukraine, but due to the financial and political crisis that is taking place in that country, FIBA Europe decided to withdraw the hosting rights from the country. A total of 16 countries expressed an interest in bidding for the event and on the 1st of August, FIBA Europe announced that they had received 8 official bids from teams looking to host the 205 EuroBasket event. All of these nations have officially qualified for the tournament so there will be host nation advantage for one of these teams, and there will be no concerns about the tournament being played in a country where there is no local team to cheer on. The 2013 EuroBasket event was hosted in Slovenia in September of that year. 24 teams took part with France overcoming Lithuania in the final, a result which saw the French side claim their first ever title in the tournament. The roll of honour in the tournament goes some way to indicating the changing nature in Europe over the years. The Soviet Union lead the way with 14 triumphs while Yugoslavia is second in the list of overall winners with a total of 5 wins. After this comes Lithuania with 3 wins, and then Spain, Italy and Greece all have two wins each. 7 teams have won the tournament once, including Egypt, who are clearly not a European nation but appeared four times between 1937 and 1953. The Egyptian team took bronze in 1947 and clinched success in 1949.